Monarch’s signature event! Kayaks on Snow! Who ever heard of such thing? A crazy event for those dreaming of water flowing to the river. 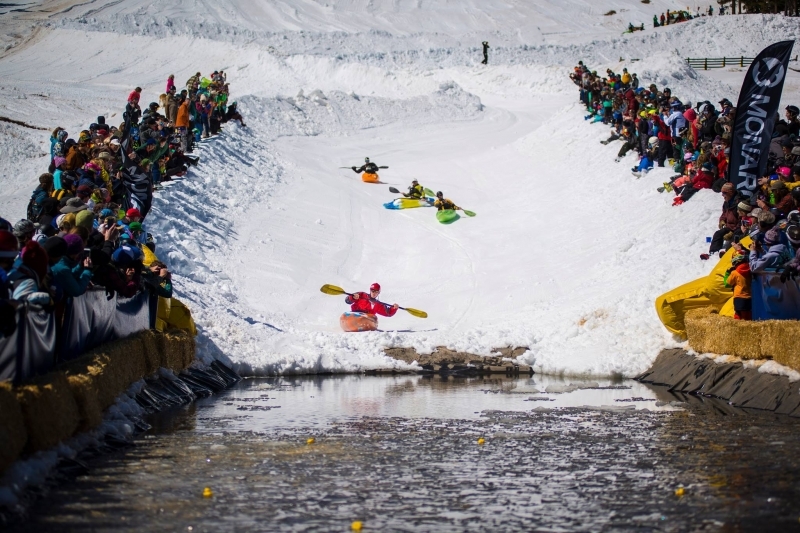 Contestant in kayaks race head to head, like Skier Cross, down a specially designed course with berms, banks, and bumps, ending in an icy pond! Costumes are encouraged. All competitors must sign a waiver and supply their own kayak, pfd’s, helmet, and carabiner. Competitors and kayaks are pulled back up hill by a snowcat with towlines connected with carabiner.